The debacle that was CLEOPATRA started out with a completely different director and cast. 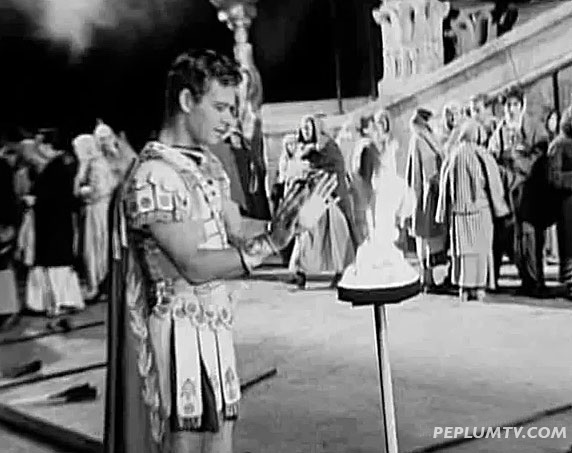 The brilliant Rouben Mamoulian was set to direct and Peter Finch was set to play Caesar and Stephen Boyd was initially cast as Mark Anthony. Because of production delays that lasted nearly a year, all three opted out of the project and then the casting problems occurred. The biggest casting issue, Elizabeth Taylor as Cleopatra, never changed so she still would have been a liability in either productions. But the film's biggest problem was the script itself and if it was the same, had it been this cast or the cast they ended up with, well, they couldn't have saved that terrible script. But one can only imagine how this version would have been. I suspect it would have been much better and very atmospheric, like most Mamoulian films. 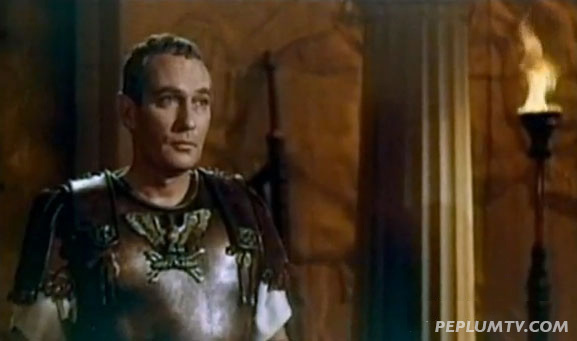 Peter Finch as Caesar. A much better choice than Rex "school principal" Harrison. 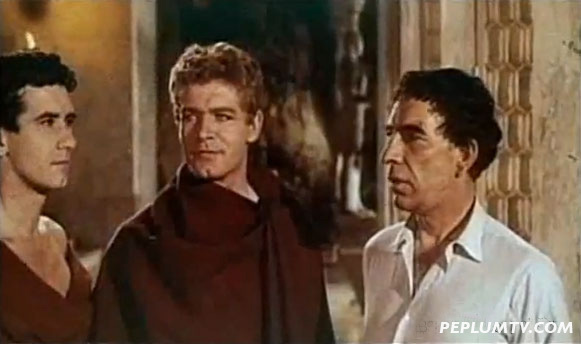 Above and below: Stephen Boyd as Mark Anthony. Keith Baxter, Stephen Boyd and director Rouben Mamoulian in a test shot. 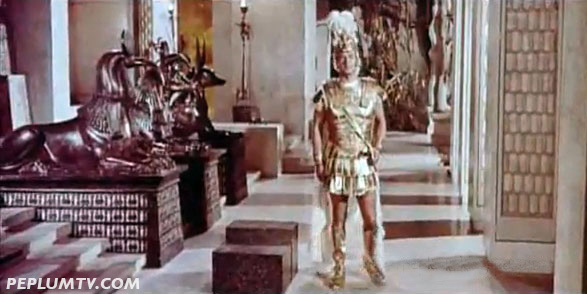 British actor Keith Baxter was set to play Octavian but was replaced by miscast Roddy McDowall.